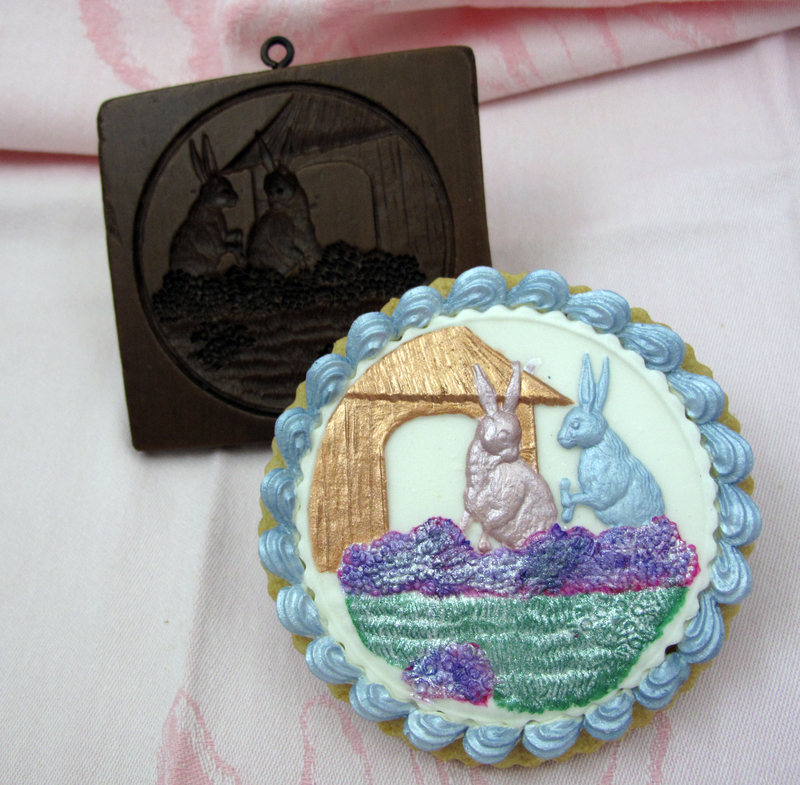 Our new Beatrix Potter’s Peter Rabbit cupcake and party decorations are now in stock at fancyflours.com. We love the way they take us down memory lane with their vintage illustrations of this favorite character and his pals. 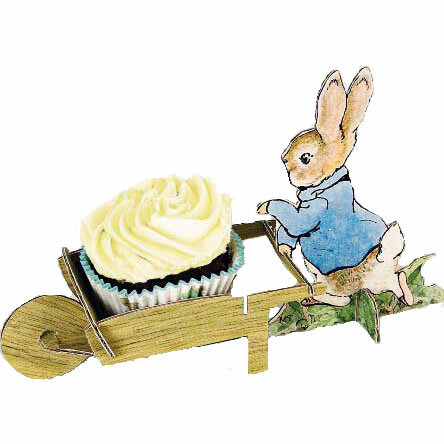 This adorable centerpiece measures 16″ x 12″ and coordinates with matching Beatrix Potter Peter Rabbit Cupcake Kit, Picks, Decorative Garland, Cookie Cutter, Cake Stand and more! 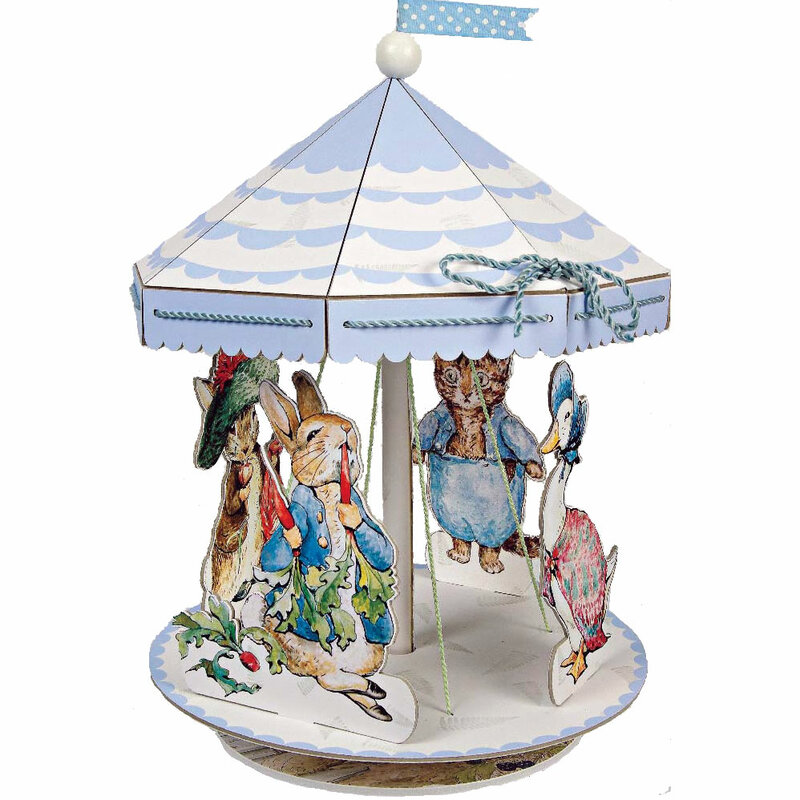 Check out our entire collection of Peter Rabbit Items from one of our favorite vendors, Meri Meri. 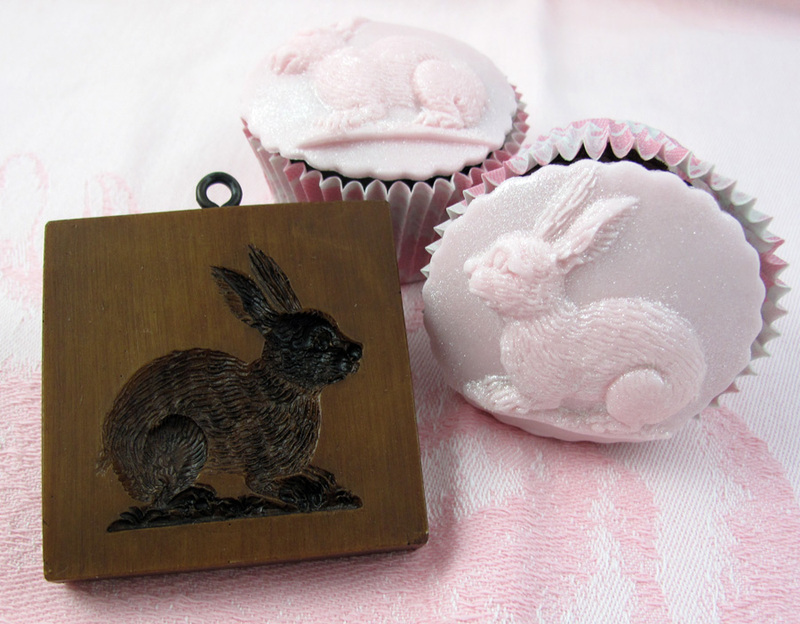 Charming Peter Rabbit Cupcake Holder featured above. 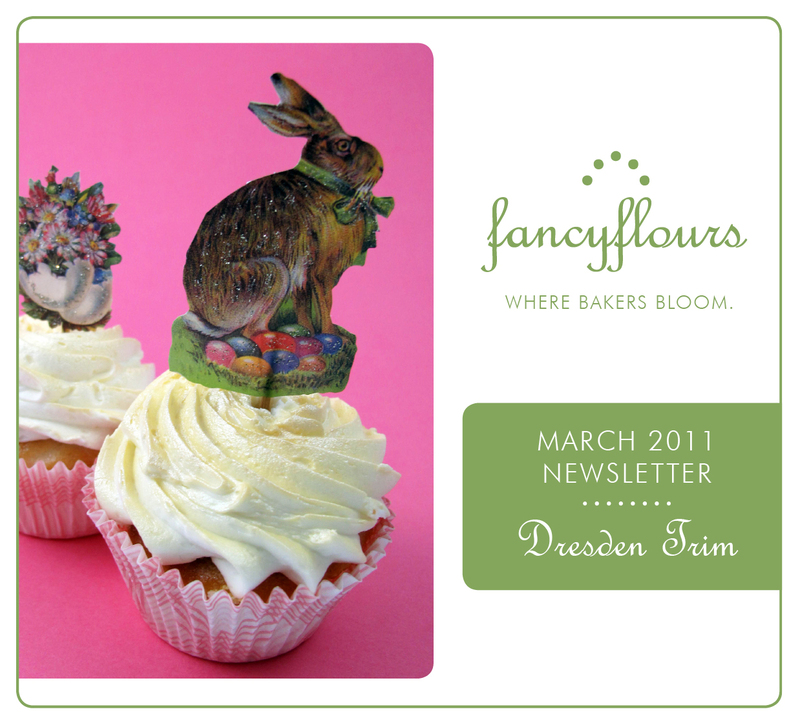 March Newsletter – Dresden Trim – Now available! We’re bringing our monthly newsletters back and this month we are featuring stunning Dresden Trims. Our over 70 different trims are made in Germany and are precision die-cut into intricate shapes perfect for decorating cakes, cookies and cupcakes. 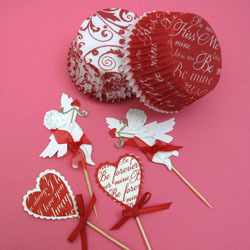 We love using them as cupcake picks by simply affixing a toothpick with a dab of craft glue. Try using them on your handmade greeting cards or tags, atop a present, tied to a gift bag or as table decorations. To view all of the Dresden Trims in our collection click HERE. Check out the March online newsletter HERE. Perfect Cupcake Kits for Valentine’s Day! 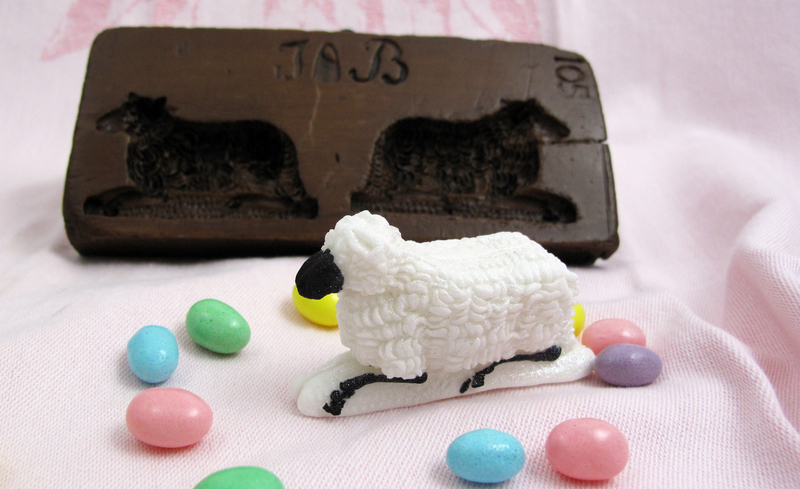 New from Meri Meri to make baking those cute sweets easy. This kit has everything you need to make cupcakes for your sweethearts. 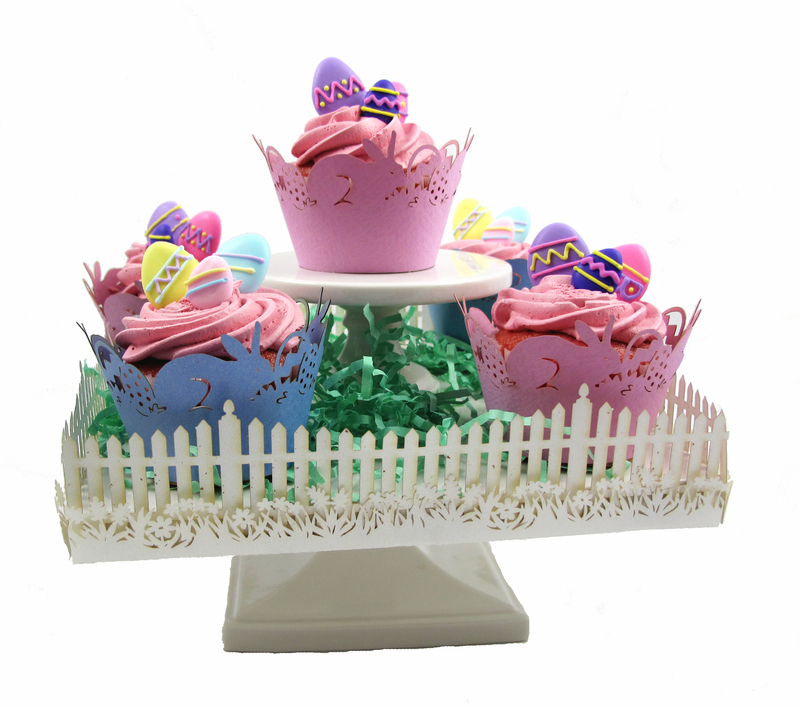 Includes two different cupcake liners and cupcake picks to make 2 dozen cupcakes. Top them off with some of your favorite frosting and sprinkles! These cupcakes are perfect for Halloween! A spooky, yet tasty treat. • Bake cupcakes according to instructions in regular muffin cups. Let cool. • While cupcakes are cooling, prepare the frosting. Divide into two bowls. One for the base color (white) and one for the web color (black). Place black frosting in decorating bag fit with writing tip. • Using a small spatula, frost the top of the cupcake with the white frosting. 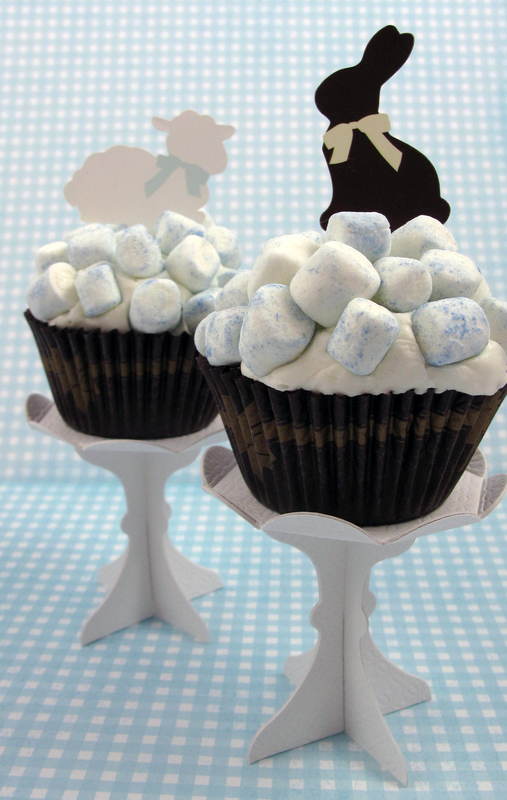 Carefully pipe web design onto each cupcake using decorating bag with black frosting. 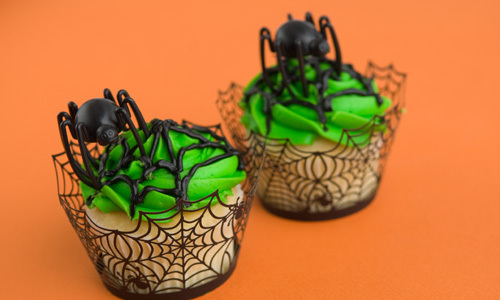 • Affix Hunchback Spider Picks to cupcakes by gently pushing into the frosting. • Assemble cupcake wrappers by fitting the tabs together and securing with tape. • Carefully put each cupcake in a wrapper and serve.